I have very dry to extremely dry skin so I need an I shower lotion in addition to regular lotion. I have found this to work very well with my skin. It doesn't leave me feeling thick and goopy.. I love this in-shower lotion. It saves me time by not have to use lotion when i get out of the shower. My skin feels so soft and it's perfect for the winter time with dry skin. Does what no other lotion can do. I have always had trouble with dry skin and a friend recommended the In shower lotion. I was totally shocked. It worked and my 24 hours later my skin was still smooth. I have never had that with another lotion. My go to lotion for sure. I love the smell and sometimes have allergic reaction to dyes in products, so am glad this has not been case. Use after working outside which I do a lot, and of course and dishes. Softens and leaves skin more velvety. THIS IS AMAZING! The first time that I used this I was totally in shock and awe over it! I could not get enough of the smell and how it left my skin when I used it. I had a sample then I went and bought some. I ran out quicker than my liking. I think that for the price we should be able to get a little more in the bottle. I will continue buying this and infact will be going to the store tomorrow to pick up more. I love the Olay in shower body lotion. It works very well to soften my dry skin. Because it is used in the shower it can take advantage of the moisture on your body. Using it in the shower also makes it easier to use on more of your body than a lotion you use after you get out. The only reasons I only give this product a eight and not a ten is I would prefer it in a different scent and it does seem a little oily initially. When you get out of the shower and dry off the issue of it seeming too oily goes away. I am not sure if some gets wiped off by the towel or if it is just that the product needs time to soak into your skin. It is also a bit tricky to use this on your feet without making the tub dangerously slippery. I typically just use it on the top of my feet and the back of the heal. Effectiveness It is very good at moisturizing your skin. Scent I do wish they offered this in different scents. Most of their other products come in scents I enjoy. Amazing, can't go without it. I cannot say enough wonderful things about my "Olay in shower body lotion"! I use this almost every time I take a shower, and it never disappoints. One of my favorite things about this product is the nifty little bottle it comes in, the hole in the top makes it easy to hang on my shower caddy. I love how smooth and creamy this in shower lotion is, you get a great lather each time without having to use a bunch of it. 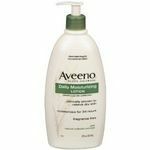 This lotion/ body wash is great for adding extra moisture to your skin, cleansing and even shaving. It is especially great to use in the winter on tough dry skin. 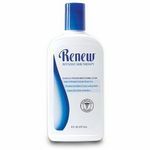 If you have sensitive skin, this product will work great for you. Effectiveness I love my in shower lotion, it works very effectively. I love the way it makes my skin feel and smell. After using this product, you will not even need to add lotion after your shower. You get enough hydration from your in shower body lotion. Scent The scent is very light, but beautiful and clean. It isn't too feminine for a man to use if he needs some extra hydration to his skin. I also love that I can still smell this product hours after my shower. Give it a try, trust me you will not be disappointed!